Bharti Airtel, India’s largest mobile operator, released its revamped self-care app ‘My Airtel’ for Android platform. In the latest update, the company added multiple features to make the app more convenient to the users. It has also changed the app’s user interface to match Google’s Material Design guidelines. We’ve earlier shared how Airtel intregated Airtel Money into their self care app. With this update, one can recharge or pay for mobile, landline, and DTH connections. 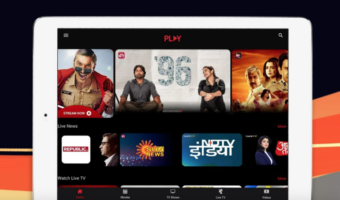 This move to add Airtel Wallet’s full features into ‘My Airtel’ app will help customers in recharging other numbers or adding top-ups for DTH connections without a need to install multiple apps. Moreover, it will help the telco to counter threats from other mobile wallet companies like PayTM or Mobikwik. Customers using the app can also check their transactions details from the app, which will help them in tracking the monthly spend on each connection. However, as of now, the app only shows those transactions made through the app. Airtel has also added ‘My Family’ support for sharing data balance among family members through a single data plan. Users can add or remove family members through easy steps. 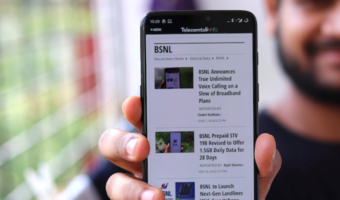 Those who browse the web at night or those who are searching for relatively cheaper data packs could unlock the ‘50% Data Cashback’ offer through the app free of cost, which will offer 50 percent data back to users who surfed Internet between 12.00 AM to 1 AM. 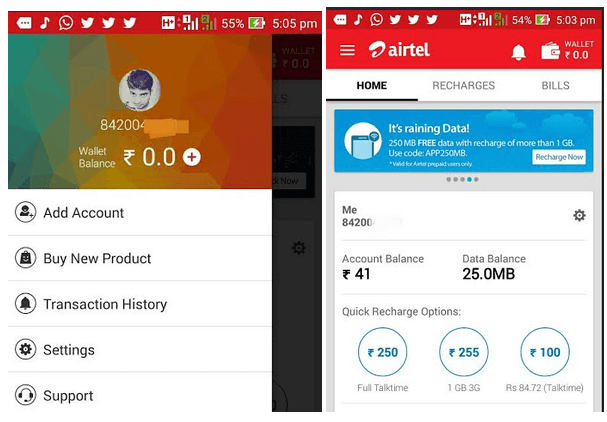 Users can now manage their Airtel DTH account, change M-PIN for Airtel Money through the app. There is no doubt that the update will improve customer satisfaction as it now offers multiple services in one integrated app. However, this update also proves how much aggressive Airtel has been. In the digital payments age, competition between these companies will ultimately help the end users. Airtel is blocking the payments made through net banking in its self care portal. They pushing the customers to use their Airtel Money.